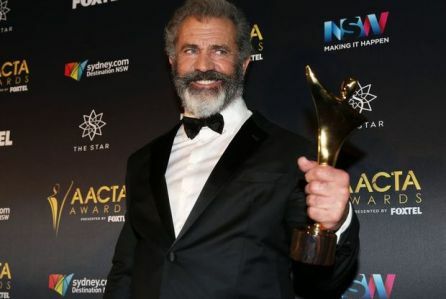 Mel Gibson’s pacifist World War II drama, Hacksaw Ridge, took five key prizes at the AACTA Awards in Sydney last night. The film won Australia’s equivalent to the Oscar in the Best Film, Best Direction and Best Original Screenplay (Andrew Knight and Robert Schenkkan) categories as well as scooping Best Lead Actor for Andrew Garfield and Best Supporting Actor for Hugo Weaving. The Australian Academy of Cinema and Television Arts had earlier this week given Oz’s highest film honors to Hacksaw Ridge in four craft races: Editing, Cinematography, Production Design and Sound. Hacksaw marks Gibson’s return to directing after 10 years and has been heaped with praise since it first bowed at the Venice Film Festival to strong reviews and a 10-minute standing ovation. The story of real-life conscientious objector Desmond T Doss is equal parts faith-based film and horrors-of-war action drama. It tells how Doss (Garfield) saved 75 men in Okinawa without ever carrying a gun. It was filmed on a relatively low budget in Australia; has seven Broadcast Film Critics Association Critics’ Choice Awards nominations and was named to the Top 10 2016 films list by the National Board of Review. International rollout continues on the Lionsgate title which has made $76M worldwide to date. It opens in China today where legendary director Feng Xiaogang recently gave it his stamp of approval.